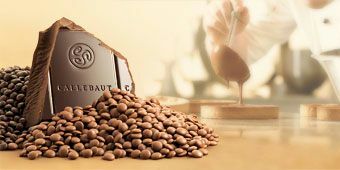 Have you ever tasted Callebaut chocolate? My first taste was of their dark chocolate chunks in the “Power Muffins” at a Vancouver natural food store called Capers. Capers has since been swallowed up and closed down by Whole Foods Canada, but my memories of those incredible muffins lives on. I’m not usually a fan of chocolate in muffins, but that hearty meal-in-a-muffin delivery system really was perfection. I’ve since attempted to recreate those muffins, but without the Callebaut chocolate, they just aren’t the same. Though I could probably scrounge around to find and order Callebaut online, it really isn’t an everyday store brand. Barry Callebaut is a humongous European / Swiss chocolate manufacturer that specializes in supplying chocolate to food manufacturers, restaurants, and chefs, and they also manufacture private label for consumers (in other words, you may be eating Callebaut and not know it!). They are so big in fact, that they just signed a multi-multi-million dollar supplier contract with Kraft Foods. Callebaut is launching a new 100% dairy-free alternative to milk chocolate. Yes, there are some delicious “milk chocolates” out there, Enjoy Life’s Boom Choco Boom and Premium Chocolatiers being two awesome examples. However, this marks the first line of milk-free “milk” chocolate to be made on a grand scale for food manufacturers and by a monster-sized chocolatier. For starters, they are teaming up with Celtic Chocolates, an Irish confectioner, to release the new innovation to consumers in the UK under the label, Choices. Celtic Chocolates, a division of Love Irish Food Limited, already specializes in chocolate for food allergies and sensitivities with a range that includes gluten-free, dairy-free, egg-free, and no added sugar chocolates. Yes, those of us on the other side of the Atlantic may have to wait a little while to see this new “milk” chocolate, but perhaps not very long. I wouldn’t be surprised to see a private label in the U.S. sign a contract to market this new chocolate to consumers in the near future. Also, this offers a high potential for an increasing range of products (such as granola and candy bars) that are made with dairy-free “milk” chocolate for free-from consumers. Callebaut has reportedly developed this new product due to a large hike in demand for lactose-free products. 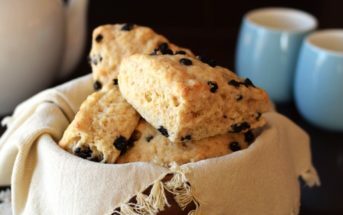 According to Euromonitor International, the global market for food intolerance products, including diabetic, gluten-free, lactose-free, and dairy-free food was €6.2bn in 2009 (about $7.75 billion). Callebaut’s “milk” chocolate is aimed to be gluten-free free also, and it appears to be soy-free and vegan. It is a blend of rice powder, inulin (that famous probiotic), and natural flavourings added to their cocoa liquor and sugar base. The innovation manager at Barry Callebaut, Merigka de Brouwer, announced that “the chocolate’s 100 percent dairy free claim is ensured as the processor uses a contaminant free, dedicated line for its production.” She also said that their new dairy-free “milk” chocolate scored very well with the taste-testing consumer panel, who determined that there was little difference between it and milk-based chocolate. 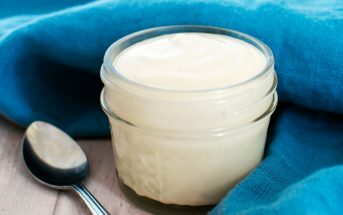 Article by Alisa Fleming, founder of GoDairyFree.org and author of Go Dairy Free: The Guide and Cookbook for Milk Allergies, Lactose Intolerance, and Casein-Free Living. Do you not if this dairy free “milk” chocolate is now available in North America? There are several other brands in the U.S., but I haven’t seen Callebaut’s version yet.